The accolades keep rolling in for local wrestlers as the sport was the first to announce their league and regional all stars. 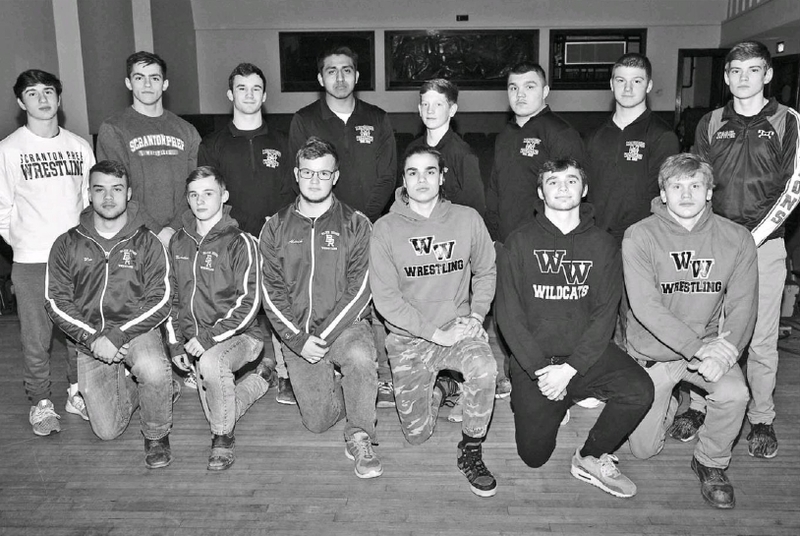 Montrose’s Joe Hester and Bryan Ryan led the way as they were named Division II All Stars by the Lackawanna League Coaches and were selected as members of the Scranton Times All Regional wrestling team. Blue Ridge Coach Tim Esposito was named the regional Coach of the Year. Hester was selected as the All Regional 132-pound wrestler. He completed his senior campaign with an eighth place finish the PIAA championships. Along the way, Hester also won the District II Class 2A championship; finished third at Northeast Regional; and captured titles at the Lackawanna League tournament and the Tunkhannock Holiday tournament. He also set the career mark for wins for Montrose surpassing 1984 state champion Mike Cole and finishing with 133 career victories. Ryan was the District II Class 2A champion at 195 pounds after finishing the Lackawanna League season with six wins, five of them by pin. He finished his season with a fifth-place finish at the Northeast Regional. He also placed second at the Lackawanna League and South Williamsport tournaments; and fifth at the Tunkhannock Holiday tournament. “(This) feels great, nothing better than an ending like that,” said Ryan in reaction to being named All Regional. Esposito was named Coach of the Year for guiding Blue Ridge to their first Lackawanna League Division championship in program history. Under his charge, the Raiders had three wrestlers finish second and two in third place at the District II Class A championships to earn five bids to the Northeast Regional. “We have a lot of guys who bought in to what we needed to do every match,” said Esposito in an earlier interview after winning the league title. “Guys were willing to sacrifice for the program, and as a coach that’s all you can ask,” he added. In a vote by Lackawanna League coaches eight local wrestlers were named to the Division II first team and an additional three were named second team. In the Lightweights (106-126 pounds) Blue Ridge’s Nate McArthur was named first team at 126 pounds. McArthur. McArthur capped his career with a sixth-place finish at the Northeast Regional after finishing second at the District II championships. Joining McArthur in the Lightweight honors was Montrose 106-pounder Nick Harder. The Meteor freshman finished his season earning fourth place at Districts. In the Middleweights (132-160) Hester was joined by Blue Ridge’s Adam Roe. The Raider senior capped his career with a six-place finish at the Northeast Regional and earned his 99th career win. Roe also finished third at the District II championships. In the upperweight division (170-285 pounds) local grapplers claimed four of the five spots. Ryan was an easy first team selection and was joined by teammates Marc Avila (182) and Justin Kelly (285) and Blue Ridge’s Eli Aldrich (220). Kelly managed 23 wins during the year often wrestling well under 285 pounds. He finished second at the District II championships and qualified for Regionals. Avila qualified for Regionals after taking third place at the District II championships. With 24 wins on the season Avila earned the number one seed in the District but was upset in the semifinals. Aldrich was a Regional qualifier after finishing second at the District II championships. Earning second team bids in the lightweight division were Blue Ridge’s Gavin Crawford who was a silver medalist at the District match at 113 pounds; and Montrose’s Andrew Rosevear who capped his sophomore campaign with a fourth-place finish at Districts. Blue Ridge’s Tom Gudykunst was a second team selection at Middleweight. The senior finished third at Districts and qualified for Regionals at 160 pounds. Be the first to comment on "Wrestling all-stars announced; BR’s Esposito named Coach of Year"